Our grandsons are living la storia della familigia Carano and its 100+ year sausage tradition. They are learning the recipes and artisanal sausage making process. 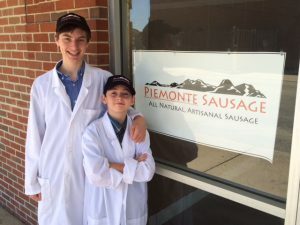 As the sixth generation, they are striving to continue the family’s unique sausage making tradition.